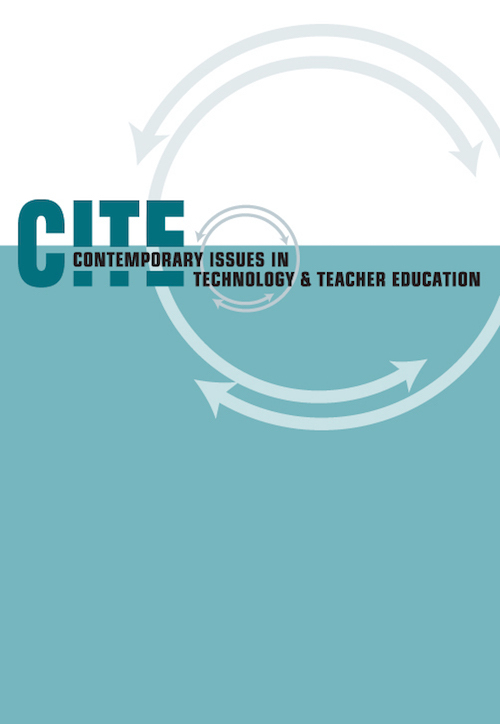 This issue of CITE Journal is unique in that it also moves beyond mere descriptions of tools and their affordances to discuss the role of emerging technologies (see also Mouza & Lavigne, 2012) in transforming education, learning and civic participation. Mouza, C. (2018). Editorial: Technology to Support Connected and Powerful Teaching and Learning. Contemporary Issues in Technology and Teacher Education, 18 (2), 197-199. Waynesville, NC USA: Society for Information Technology & Teacher Education. Retrieved April 24, 2019 from https://www.learntechlib.org/primary/p/184716/.